4 Bedroom Detached House To Rent in Cheddar for £1,425 per Calendar Month. A beautiful spacious four bedroom family home in the lovely village of Draycot. This property benefits from spacious accommodation with a light and airy feel and some special features, gas central heating, double glazing, integrated appliances and is neutrally decorated throughout. There is plenty of parking on the drive which also has large gates for privacy. Pets will be considered by negotiation. Accommodation comprises of: entrance door leading into the hallway that has oak flooring, the large kitchen diner has a tiled floor with a fantastic range of cream wall and base units that have a integrated fridge freezer and dishwasher, large range cooker, a Belfast sink and the added feature of a middle island unit making this an ideal entertaining area. There is an utility room that has the integrated washer dryer, a sink and plenty of storage units matching the kitchen. At the dining area there are large patio doors that open on the decking area. 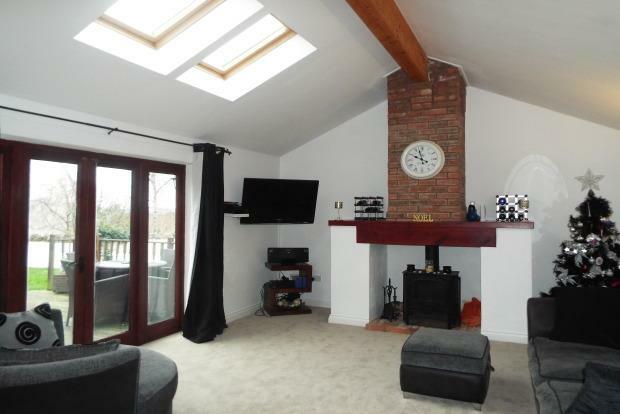 The fantastic lounge has a wood burner and pretty feature fire place with brick chimney, patio doors to the decking area, velux windows for extra light and new carpet. There is a small study fitted with plenty of sockets to accommodate electrical goods, a ground floor cloakroom, a large storage cupboard, also on the ground floor is the master bedroom that has a ensuite with full bath, WC, wash hand basin and free standing shower, a walk in wardrobe finishes off this room. The amazing wooden staircase leads up to the first floor where you will find two double bedrooms, one single bedroom all with fitted wardrobes, a family bathroom with shower over the bath and a couple of useful storage cupboards. To the rear of the property there is a large decking and lawn area ideal for all of the family, a storage shed and large gates lead to the front driveway. Draycott is a small village nestling on the southern slopes of the Mendip Hills, an area of outstanding natural beauty popular with walkers and very accessible to the public. The village is very active socially and amenities include a church, village hall, primary school, playgroup, playing fields, village shop post office and pub. The nearby towns of Cheddar, Wells and Wedmore offer a large range of other facilities. There are also primary schools in Westbury sub Mendip and Cheddar as well as secondary state schools at Kings of Wessex in Cheddar and the Blue School in Wells. The independent schools, Sidcot, Millfield and Wells Cathedral are also within easy reach.